23/11/12 -- Soycomplex: Jan 13 Soybeans closed at USD14.18 3/4, up 10 1/2 cents; Mar 13 Soybeans closed at USD14.03, up 9 1/4 cents; Dec 12 Soybean Meal closed at USD428.60, up USD0.70; Dec 12 Soybean Oil closed at 49.04, up 51 points. On the week overall Jan 13 beans were 35 1/2 cents firmer, Dec 12 meal was up USD4 and Dec 12 bean oil was just shy of 200 points firmer. Weekly export sales of 543,600 MT were in line with trade expectations of 400-650 TMT. Catching the eye once again though were actual shipments of almost 2 MMT (with over 1.3 MMT of that heading for China). That's the ninth successive weekly increase in soybean exports, and eight of those have been in excess of 1 MMT. It is also the largest weekly volume shipped since March 2009. Only 11 weeks into the marketing year the US has already exported 13.6 MMT of soybeans, with a similar volume also already sold but unshipped. That takes 2012/13 commitments to 74% of the USDA's target for the entire season with 79% of it still remaining. Corn: Dec 12 Corn closed at USD7.45 1/2, up 4 1/2 cents; Mar 13 Corn closed at USD7.49 3/4, up 4 1/2 cents. For the week Dec 12 corn was 18 1/2 cents firmer. There was thin trade in a shortened open outcry session following yesterday's Thanksgiving Day holiday. Weekly export sales of 769,800 MT for the 2012/13 marketing year and 188,800 MT for delivery in 2013/14 for once comfortably exceeded trade estimates of 250-500 TMT and were the largest weekly old crop sales since April - 31 weeks ago. Actual shipments were just shy of 400 TMT. Year-to-date exports plus outstanding sales are only 11.9 MMT though, less than a third of those for soybeans. That represents only 38% of the USDA's projected full season exports target of 31 MMT. Wheat: Dec 12 CBOT Wheat closed at USD8.47 3/4, up 2 1/2 cents; Dec 12 KCBT Wheat closed at USD8.78 1/4, up 2 cents; Dec 12 MGEX Wheat closed at USD9.13 3/4, down 1/4 cent. For the week overall Chicago wheat was 9 3/4 cents higher, with Kansas wheat up 2 1/4 cents and Minneapolis 4 cents firmer. Weekly export sales were 635,400 MT for the 2012/13 marketing year - the best total for 16 weeks - and 22,000 MT for 2013/14, beating trade estimates for sales of 200-450 TMT. Total shipments plus outstanding sales are 52% of the USDA's full 2012/13 export target of 30.5 MMT twenty four weeks into the season. Sales aren't actual exports however, shipments this week were only 330 TMT. 23/11/12 -- EU grains closed mixed with expiring Nov 12 London wheat unchanged at GBP218.00/tonne and with benchmark May 13 also static at GBP220.00/tonne and new crop Nov 13 up GBP1.80/tonne to GBP189.35/tonne. Jan 13 Paris wheat ended EUR1.00/tonne lower at EUR269.75/tonne. For the week overall May 13 London wheat was GBP0.75/tonne lower, Nov 13 GBP1.85/tonne firmer and Jan 13 Paris wheat EUR0.50/tonne higher. New crop London wheat was the week's biggest gainer on mounting concerns over next year's crop. Trade estimates suggest that only two thirds of the intended winter wheat acreage has got planted so far. Another very wet week, and the promise of plenty more to come of the weekend is unlikely to see things improve a while yet. It was a relatively subdued session with no overnight Globex market due to yesterday's US Thanksgiving holiday, and many traders taking to opportunity to make a long weekend of it and take today off as well. Fresh news was therefore pretty scarce. The EU leaders' summit in Brussels predictably ended without an agreement being reached, and they will now all reconvene in the new year to have another crack at it. Don't hold your breath on that one getting resolved either. Ukraine is winding up the last of it's corn harvest, which is now 92% done at 18.64 MMT in bunker weight. The total grain harvest now stands at 45 MMT versus 55.8 MMT this time a year ago. Net yields are 3.13 MT/ha, down 16% on last year. US weekly export sales for wheat came in at a better than expected 635,400 MT which is the best performance in 16 weeks. Europe couldn't this week match last week's weekly soft wheat export licence total of 695 TMT - the largest weekly total in more than two years - but was still pretty respectable at 380 TMT and exports are now running 11.5% ahead of this time last year. Maybe the switch from cheaper Black Sea wheat to Europe and America has begun? The 2013 harvest suddenly seems a long way off, and European, US and Russian crop conditions are far from ideal as we head into winter. Vivergo are said to be actively in the market for wheat, current gossip suggests that they are likely to want to stick to a minimum bushel weight of 68 kg/hl. 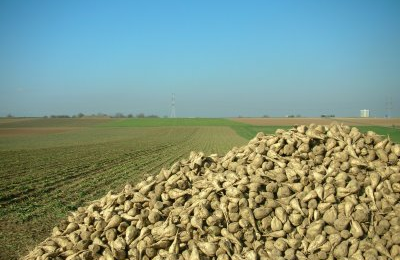 Ensus are said to be running "full tilt" although they are also taking in French corn to supplement the poor quality of this year's domestic wheat crop. 23/11/12 -- There's not a lot to go on thus far, with the overnight electronic market closed and only a shortened open outcry session to look forward to this afternoon, an afternoon when many participants don't bother turning up. Manly Angela Merkel tells us what we think we already know when she says that agreement at the end of the second day of meetings between EU leaders to thrash out the 2014-2020 budget are unlikely, as she strokes her beard and excessive armpit hair sagely. The Mato Grosso Institute of Agricultural Economics (Imea) tell us that soybean planting is 95% complete in the northern part of the state, with the earliest beans expected to be harvested around the second week of January. This afternoon we will get the USDA's one day delayed weekly export sales numbers. Corn sales are forecast at 250-500 TMT, with soybean sales of 400-650 TMT and wheat sales of 200-450 TMT. Wednesday's USDA reported sale of 76,000 MT of soyoil to a combination of China (20,000 MT) and unknown (56,000 MT – said to possibly be India) is said to be the largest daily sale of soyoil in at least 6 years and will bring total sales for the year to over 80% of the USDA projection with 45 weeks remaining in the marketing year. This afternoon's weekly shipment total for soybeans will also be of interest having hit a two year high of 1.8 MMT last week and topped 1 MMT for the seventh week in a row as US exports all get squeezed into the front end of the 2012/13 marketing year. 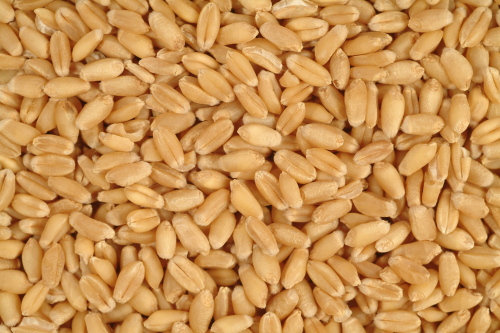 May 13 London wheat has opened GBP0.55/tonne easier at GBP220.50/tonne. Nov 12 London wheat goes off the board today. 22/11/12 -- EU grains closed mixed with Nov 12 London wheat up GBP2.00/tonne to GBP218.00/tonne, May 13 up GBP0.30/tonne to GBP221.05/tonne and new crop Nov 13 GBP0.20/tonne weaker at GBP187.55/tonne. Jan 13 Paris milling wheat added EUR1.00/tonne to close at EUR270.25/tonne. As you might expect it was a relatively subdued session with America closed for the Thanksgiving Day holiday. Summer drought in southern Russia has given way to autumn drought, seeing the Ag Ministry there cut their forecast for the winter grain area from 16.8 million hectares to 15.9 million. The Ministry also said that the 2012 harvest will exceed 75 MMT in bunker weight, almost 20 MMT down on last year, and finish around 71 MMT in clean weight. The corn harvest is still ongoing producing 8.4 MMT in bunker weight, or 7.9 MMT in clean weight, so far. The latest statistics out of Russia show exports declining quite sharply, albeit from the manic early season pace. Grain shipments in September were 3.16 MMT, falling to 2.35 MMT in October and a projected 1.45 MMT in November. Shipments in December and January are thought likely to be only around 0.5-0.6 MMT/month. 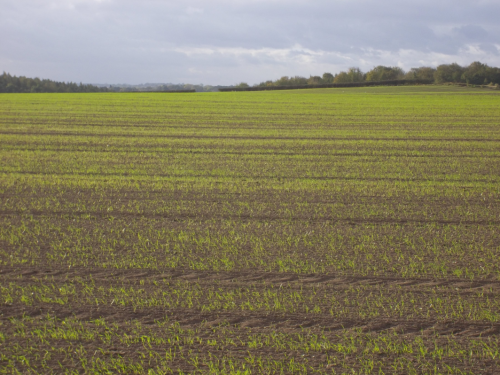 At home, a Farming Online survey suggested that only around 66% of the planned UK winter wheat area has actually been sown, in line with the general level of trade estimates. Crops are highly variable, but generally poorly established, leaving them vulnerable to a hard winter, should we get the one that some are forecasting. Whilst it's only very early days yet, Farming Online say that their calculations suggest a domestic wheat crop of only 9.7 MMT in 2013, based on what has been sown already. The UK wheat crop hasn't been below 10 MMT since 1981. Bangladesh bought 50,000 MT of optional-origin, but what will probably turn out to be Indian wheat, in their tender. Brussels issued a respectable 380 TMT of weekly soft wheat export licences, bringing the year-to-date total to 6.8 MMT, an increase of 11.5% on this time last year. Barley exports of 70 TMT bring the 2012/13 marketing year total so far to 2.4 MMT, up 26.3% on last season. 21/11/12 -- Soycomplex: Jan 13 Soybeans closed at USD14.08 1/4, down 4 1/2 cents; Mar 13 Soybeans closed at USD13.93 3/4, down 2 1/2 cents; Dec 12 Soybean Meal closed at USD427.9, down USD1.70; Dec 12 Soybean Oil closed at 48.53, up 21 points. It was a typically quiet low volume day ahead of tomorrow's Thanksgiving holiday. China bought two cargoes of US soybeans, said the USDA. They also booked 20,000 MT of US soyoil, and the USDA confirmed a further 56,000 MT sold to unknown. Oil World said that they expect Chinese demand for soyoil to rely more heavily on US supplies from now on until new crop becomes available in South America. Chinese customs data shows Jan/Oct 2012 soybean imports running at 48.34 MMT, up 16.6% from a year ago. Soyoil imports are at 1.44 MMT, up 47.33% from a year ago. Wetness in Argentina may encourage some switching out of corn acres into beans. MDA CropCast forecast the Argentine soybean crop at 54.4 MMT versus the USDA's 55.0 MMT. They pegged output in Brazil at 80.3 MMT versus the USDA's 80.0 MMT. Corn: Dec 12 Corn closed at USD7.41, down 2 1/4 cents; Mar 13 Corn closed at USD7.45 1/4, down 2 cents. MDA CropCast cut their Argentine corn production forecast by 400 TMT from last week to 25.9 MMT versus the USDA's 28 MMT on a lower planted area. They did however raise output in Brazil by a similar volume to 70.8 MMT on recent beneficial rains. Data from the US Energy Dept showed ethanol production at a four week low of 811,000 barrels per day this past week. Stocks were up from 17.851 million barrels last week to 18.927 million this time round. Chinese customs data shows October corn imports were 445,252 MT, up 46.32% from a year ago. That brings 2012 year-to-date imports to 4.56 MMT - up sharply from a year ago. Weekly export sales will be released on Friday, a day later than normal due to the Thanksgiving holiday. The trade is said to be expecting sales of 250-500 TMT. They may be disappointed once more. Wheat: Dec 12 CBOT Wheat closed at USD8.45 1/4, up 1/4 cent; Dec 12 KCBT Wheat closed at USD8.76 1/4, down 1 1/4 cents; Dec 12 MGEX Wheat closed at USD9.14, up 1 1/4 cents. Russia’s Ag Ministry estimated Russia’s 2012/13 grain exports at 15.5 MMT versus a previous estimate of 10-11 MMT, adding that they have exported 11.0 MMT of grain so far this season. Separately, Russia’s Grain Union estimated Russia’s ‘12/13 wheat exports at 9.5-10.0 MMT. They sold 61,715 MT of wheat from intervention stocks in a tender today, taking the total sold since Oct 23 is 568,279 MT. US wheat missed out due to price in an Iraqi tender which was split between Australia (200 TMT), Canada (100 TMT) and Russia (50 TMT). Syria is tendering for 100 TMT of wheat for Dec-Feb shipment. Chinese customs data shows that they imported 350,375 MT of wheat in October vs. only 59,997 MT a year ago. Year-to-date imports are 3.57 MMT - up sharply from a year ago. 21/11/12 – EU grains closed generally lower with Nov 12 London wheat down GBP0.50/tonne at GBP216.00/tonne, with benchmark May 13 also GBP0.50/tonne lower at GBP220.75/tonne and new crop Nov 13 up GBP0.50/tonne to GBP187.75/tonne. Jan 13 Paris wheat ended one euro lower at EUR269.25/tonne. 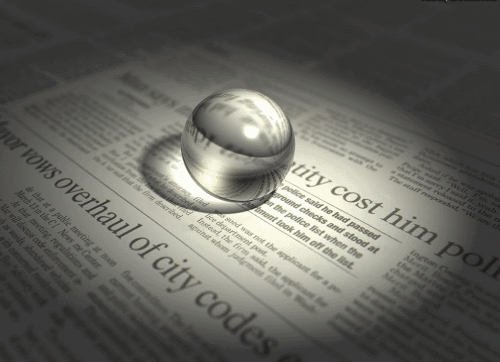 Once again we have a relative lack of fresh fundamental news, which seems to make the market drift lower. 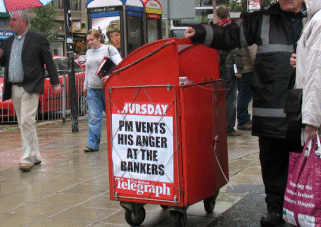 A series of external non-fundamental influences appear to hold sway at the moment. The Russian Ag Ministry said that they were raising their 2012/13 grain export estimate to 15.5 MMT from a maximum of 11 MMT previously. They also said that domestic 2012 intervention sales would total 1.0-1.1 MMT (they have already sold 568 TMT since they began selling off government owned stocks on Oct 23) including 61,715 MT sold in a tender today. It would seem therefore that Russia are to attempt to squeeze a little bit more grain out of the country and support domestic demand with intervention sales. Iraq announced that it had bought 350 TMT of wheat in a tender, including 200 TMT of Australian origin wheat, 100 TMT from Canada and 50 TMT from Russia. 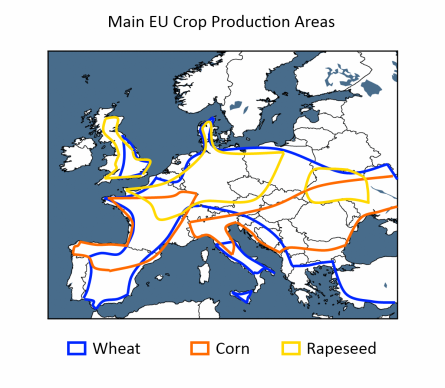 There was no room for either EU or US wheat it would seem. In other news, the FAO said that Morocco would import a record 8.4 MMT of cereals in 2012/13, including 5.2 MMT of wheat. That's an increase of 35% on last season by virtue of a 38% decline in grain output to 5.3 MMT. Looking further ahead, MDA CropCast said that Europe would produce 18.5 MMT of OSR in 2013/14, up 2.4% from the 18.07 MMT produced in 2012/13. World markets remain jittery over the Middle East, Greece, the EU summit and the impending US "fiscal cliff" - all of which are encouraging a "risk-off" mentality at the moment. UK and continental weather remains largely unhelpful, with widespread rain causing flooding in many countries. 21/11/12 -- Has anyone noticed that today's date is a palindrome by the way? If perchance anyone out there has any 6mm sugar beet pellets available in the North West, spot and forward then please let me know via the modern marvel that is email. Unfortunately 8mm is no good for this picky bugger, so don't bother offering me any of that. Neither I suspect would 5.5mm pellets cut the mustard, it's 6mm or bugger all. He's got a ruler, so don't try pulling a swift one. I bet this guy was great fun at Christmas when he was a kid: "I want a Tracey Island, the big one with the limited edition Thunderbird 3 in orange, a fully autographed copy of Sgt Pepper (including George Martin AND Brian Epstein), just the Fab Four and George Martin will not suffice and don't bother trying to forge the signatures I can tell, a top of the range Chopper with solid gold handlebars and a 1/32-scale replica of the Titanic made out of toothpicks. Don't disappoint me Pater or I'll pack my bags and you will never see me again and you'll die a lingering and lonely incontinent riddled, piss soaked death, every fibre of your body contorted with the remorse of how you let your little innocent wide-eyed bundle of joy down so cruelly this Christmas. Dog breath." 21/11/12 -- Tomorrow is Thanksgiving Day in the US, the day when traditionally America stops to give thanks to the British for inventing them. 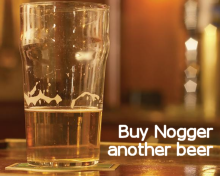 They munch their way through 45 million roast turkeys (yes, that's what they reckon: 45 million of the buggers) and raise a glass to dear old Blighty. The Chicago market is therefore closed tomorrow and Friday's daytime trade is a shortened 9.30am-12 noon local time, or 15.30-18.00 GMT and that's it then until Monday morning. With America closed then, the market is likely to focus on Europe. Step forward the ongoing (how long has it been now? Three years plus?) Greece. The so-called troika have apparently failed to reach an agreement overnight to stump up the next EUR34 billion due in early December. And so we stumble on. No doubt Greece will get the cash, just not yet. No doubt there will be new strings attached. No doubt Greece will accept the new strings, gobble up the cash, then ask for more cash in the New Year attached to longer pieces of string to pay back the cash that they've got in December that they can't afford to pay back. Again. Ho hum. Tomorrow is a new day as they say. Indeed it is. Tomorrow and Friday bring us some new hurdles to jump in the form of the EU leaders' summit attempting to hammer out a new EUR1 trillion budget, with the air thick with testosterone and bullsh!t. Even "Call Me Dave" is talking hardball saying "If there isn't a deal that is good for Britain... then there won't be a deal." Knock 'em dead tiger. Meanwhile of course we have the ongoing crisis in Gaza. Crude fell USD2.50/barrel yesterday when a ceasefire was announced, it's back up half a dollar or so this morning after what the BBC call "a night of heavy Israeli air strikes and sporadic Hamas rocket attacks." With all this going on then it maybe isn't surprising that spec money is pulling out of the market with the US "fiscal cliff" also looming on the horizon and year-end approaching. Fundamentals it would seem, at least for now, have taken a back seat. The overnight market sees beans 2-4 cents lower, with wheat down 2-3 and corn a cent or so easier. Paris wheat has opened around half a euro lower. Celeres say that 64% of the Brazilian soybean crop has been planted vs. 50% a week ago and 71% a year ago. They also say that 49% of the crop has been sold, unchanged from a week ago vs. 38% a year ago and 25% for the 5-year average. Oil World say that in October China imported 110,000 MT of soybean oil from Argentina, 91,000 MT from Brazil and 76,000 MT from the US. A larger proportion of US origin soybean oil imports from the US are likely going forward as South American availability tightens, they add. 20/11/12 -- Soycomplex: Jan 13 Soybeans closed at USD14.12 3/4, up 18 cents; Mar 13 Soybeans closed at USD13.96 1/4, up 14 1/4 cents; Dec 12 Soybean Meal closed at USD429.60, up USD5.00; Dec 12 Soybean Oil closed at 48.32, up 43 points. Funds were said to have bought 6,000 soybean contracts on the day as beans climbed back above USD14/bu. In a sign of things to come Argentine unions began a 24-hour strike. The port of Rosario, which would normally handle around 3,000 trucks/day, was said to have had traffic of only a tenth of that. Oil World said that South American soybean exports from the combined might of Brazil, Argentina, Paraguay and Uruguay would only total 0.5-0.6 MMT this month as supplies turn to a trickle. They also cut their estimate for Argentine soybean production from 56 MMT to 54 MMT, which is now 1 MMT lower than the USDA and would no longer be a record, although its still nearly 32% up on last year's drought-decimated crop. They placed Brazil's crop 1 MMT lower than previously at a record 81 MMT - in line with the USDA's ideas. Private analyst Michael Cordonnier estimated the Brazilian bean crop at 80.0 MMT and Argentine production at 55 MMT. Corn: Dec 12 Corn closed at USD7.43 1/4, up 4 1/2 cents; Mar 13 Corn closed at USD7.47 1/4, up 4 3/4 cents. Funds were estimated as net buyers of around 5,000 corn contracts on the day. Vietnam are said to be looking for January corn, with offers out of South America around USD20-25/tonne cheaper than US corn. Argentina is strike happy though and Brazil is suffering significant port delays. It will therefore be interesting to see which way Vietnam go. Michael Cordonnier estimated the Brazilian corn crop at 72.0 MMT and the Argentine crop at 22.5 MMT versus 70 MMT and 28 MMT respectively from the USDA. Egtpt are said to have bought Argentine corn for May delivery. The US markets are closed Thursday for Thanksgiving Day, delaying the normal weekly export sales report until Friday. These need to come in at around 430,000 MT/week to match USDA projected exports for 2012/13. Last week's 2012/13 sales were only 103,900 MT. Wheat: Dec 12 CBOT Wheat closed at USD8.45, up 3 1/4 cents; Dec 12 KCBT Wheat closed at USD8.77 1/2, up 1 1/2 cents; Dec 12 MGEX Wheat closed at USD9.12 3/4, up 2 1/2 cents. Fund buying was estimated at around 1,000 CBOT wheat contracts on the day. This was a pretty disappointing performance from wheat considering the USDA last night cut good/excellent crop ratings by a further 2 points to just 34% - the lowest score on record for this week heading into dormancy. Iraq are tendering for wheat, and US origin material is said to be the most expensive on offer, although there may be one or two question marks over the reliability as suppliers of some, and quality issues over others. Even so, EU, Canadian and Australian wheat are also all said to be offered at around USD15-20/tonne cheaper than US material. Ukraine are widely expected to be out of the wheat export market by the end of the month, whether restrictions are introduced formally or not. Rosstat said that Russian grain stocks as at Nov 1 were 32.9 MMT, down 29% from 46.3 MMT a year ago. 20/11/12 -- EU grains closed mixed although mostly lower with Nov 12 London wheat down GBP0.25/tonne at GBP216.50/tonne and with benchmark May 13 GBP0.50/tonne lower at GBP221.25/tonne. Jan 13 Paris wheat ended unchanged at EUR270.25/tonne. Fresh news was fairly hard to come by. Ukraine said that it had exported a record 10.72 MMT of grains so far in 2012/13 (starting July 1st) as sellers scramble to stuff all their sales into the first half of the season to avoid an export ban on wheat. Despite the government's insistence that no restrictions on wheat exports will be introduced very few believe this to be the case, at least not in one form or another. The volume exported so far includes 5.17 MMT of wheat, 3.73 MMT of corn and 1.67 MMT of barley. The is apparently a further 493 TMT of wheat in portside storage facilities waiting to be loaded for abroad, which would take total wheat exports above the government's suggested 5.5 MMT ceiling. The USDA last night cut good/excellent crop ratings for winter wheat to their lowest since records began in the 1986/7 season. "Exceptional drought is the reason for poor and declining hard red winter wheat. Record low May-October rainfall was recorded in northwest Kansas, north-central Oklahoma and western Nebraska. This was the lowest rainfall on records dating back to 1895, based on official data from the National Climatic Data Centre. It would be difficult if not impossible for soil moisture to be fully replenished due to a 5-6 inch deficit," said Martell Crop Projections. 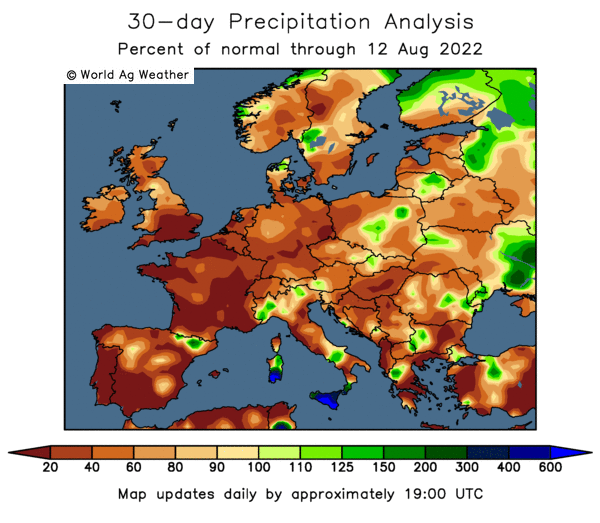 Following the wettest summer in a century, UK winter wheat is exhibiting "the worst-ever symptoms of fungal diseases on record" say CropMonitor, according to a report on Bloomberg today. Slugs are also said to be causing unprecedented damage to wheat here, leading to many to forecast a huge surge in spring planted crops in 2013. Agrimoney, quoting RMI Analytics, last week said that the UK spring barley area "has the potential to increase by 50%" year-on-year for the 2013 harvest. Despite plenty of supportive fundamentals however, outside influences are putting the market under pressure. Firstly we have this week's "crunch" EU summit, with all 27 member states fighting their own individual corners. Then we have Greece attempting to jump through more hoops to persuade the IMF, ECB and EU to keep the money coming. In addition of course we also have the US "fiscal cliff" not to mention the escalating Gaza crisis. There's enough uncertainty in that little lot to cap any potential gains and keep the funds looking to continue to lighten their load with year-end approaching rapidly. 20/11/12 -- The overnight electronic market is modestly lower with little fresh news around. Fund liquidation has been the theme for the last couple of months now, I wonder if that may continue to be the case heading into year-end? They certainly seem more concerned about the US fiscal cliff, Greece and Palestine than the grain market fundamentals right now. Last night's crop condition report from the USDA showed another decline. Winter wheat started off by coming in with the worst conditions on record for the first report of the year at the end of October with good/excellent at 40% and they've lost a further 6 points in the top two categories since then. "No important rain is expected this week in hard red winter wheat. What makes this drought disturbing is how long it has persisted beginning in June and persisting to the present time. 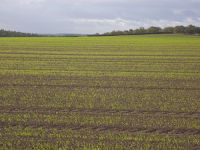 Field moisture is depleted through a deep soil layer," say Martell Crop Projections. Hmmm, wheat heading into dormancy in the worst condition on record in largest exporting nation in the world, with little respite from drought in sight and the market more or less ignores this information. The funds really don't seem to fancy this market right now do they? Ukraine has exported a record 10.72 MMT of grain to date in the 2012/13 marketing year as traders scramble to get their boats away before the government "don't" introduce export restrictions. Of that total 5.17 MMT is wheat, with a further nigh on 500 TMT of wheat sitting at the quayside waiting to load. Hovis owner, Premier Foods, says it's cutting 900 jobs at its bread division the BBC report this morning. The loss of a low margin contract to make bread for an un-named supermarket that is obviously only trying to hold prices down to help the housewife in these needy times may have been a contributory factor. Happy Christmas! Bangladesh is shopping for 50 TMT of wheat in a tender for December-January shipment. India might be the favourites although Russia may be tempted to squeeze out one last cargo before they shut the doors. Moody's have downgraded France's credit rating by one notch, saying "they're French, what do they expect?" China's CNGOIC say that corn production there this year will come in at a record 201 MMT. Drought persists in Russia’s Southern District a key growing area that makes up 60% of winter wheat. What makes this drought particularly severe is that the preceding summer also was very dry. Drought will not be resolved with scattered light rains. It is much the same problem as US hard red winter wheat in the Great Plains. 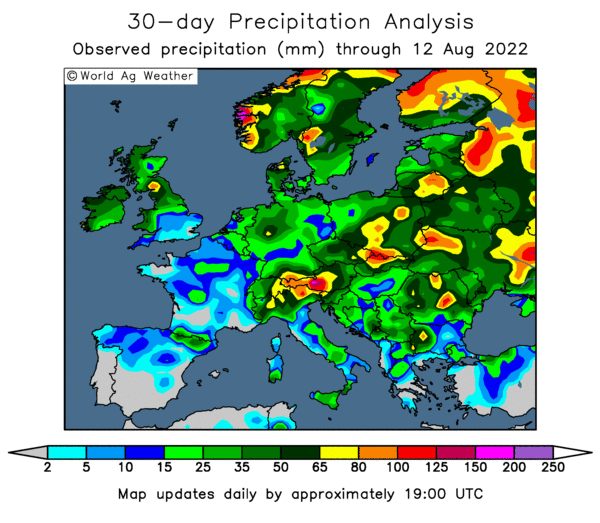 Ukraine winter grains have benefited from heavy rainfall in recent weeks. There is enough topsoil moisture to germinate seeds and encourage a good root system ahead of the winter season. Temperatures have remained warm enough for wheat to grow and develop. 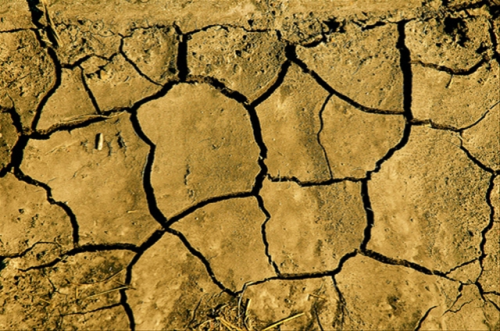 The Crimea and southeastern Ukraine are still very dry. Eastern Australia has turned suddenly wet in November, southern New South Wales wheat receiving 1.25 – 2.5 inches of rainfall and 2-4 times the normal amount. Spring drought previously had grown severe in September-October. It may be too late to make a positive difference in the wheat yield, though wheat in the late grain filling stage may have benefited slightly. Poor wheat yields are anticipated in Western Australia, the top wheat state, from intense spring drought and heat stress. The USDA reduced its estimate for Australia wheat to 21 million metric tons in the November supply - demand report. If this estimate verifies it would be nearly 30% less than last year's record 29.52 million metric tons. November rains have been heavy and widespread in Brazil’s top soybean state Mato Grosso. Soybeans are off to an excellent start. South Brazil has been largely bypassed in Parana and South Brazil, though the forecast this week is hopeful for scattered heavy rainfall. Western Parana is experiencing serious drought, Brazil’s top corn state and second leading soybean grower. A 2-inch soil moisture deficit has built up over the past 30 days, and 6-8 inches in 3 months. Small plants do not require too much rainfall but as crop growth accelerates, drought stress will manifest. Rio Grande do Sul dryness in November has been very pronounced. Yet corn and soybeans are doing better there following a wet October. Argentina soggy farms doused by extremely heavy October rainfall have benefited from November warmth and dryness. Strong thunderstorms are set to resume this week. Widespread heavy rains are predicted in the grain belt, up to 2.5 inches, in a wave of strong thunderstorms Wednesday-Thursday. It seems unlikely growers will get all their corn planted. 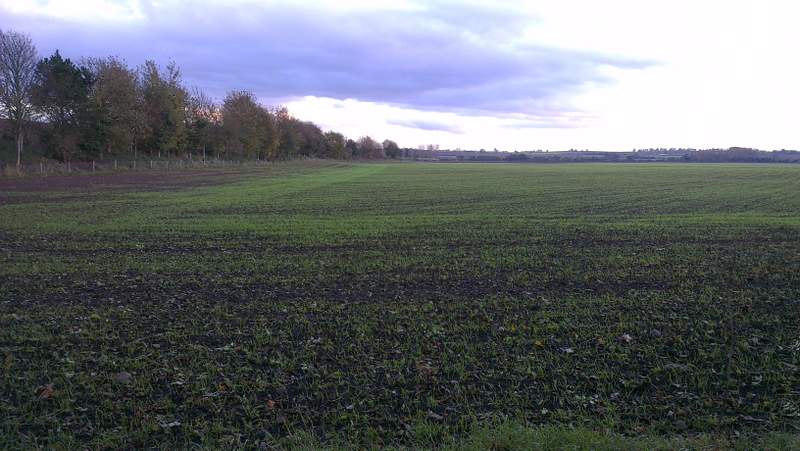 Less than half the intended corn had been sown by mid November. 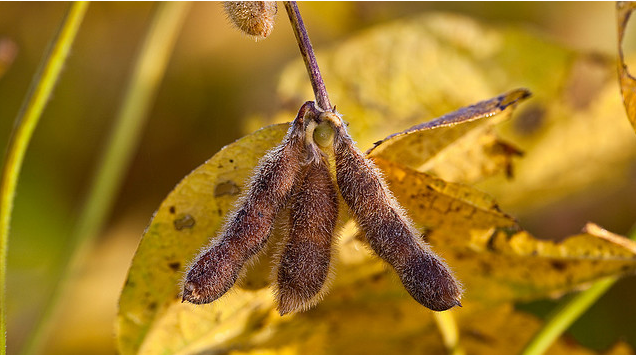 Soybeans may be substituted without a major yield penalty, if they are planted by early December. China October weather was cold and wet in the main corn- and soybean growing areas in the Northeast. China has announced the corn harvest reached record proportions over 200 million metric tons, and at least 5% bigger than 2011. Soybean production is down 13% from last season, using USDA estimates. Soybean imports of 63 million metric tons would be needed to address domestic needs for the growing livestock industry. That would shatter last the record imports in 2011-12 and 59.23 million metric tons. Persistent heavy rains in the Northeast corn and soybean region suggest frequent harvesting delays. Heilongjiang, Jilin and Liaoning all were unseasonably wet in a cold and damp October. We wonder if the quality of crops may have declined in a strung-out harvest. The wetness was very unusual, as the autumn climate typically is dry in Northeast China. The North China Plain has been unfavourably dry this fall, the main winter wheat growing area. There are questions about the outcome of the the spring-harvested crop in 2012, said to have set a record at 118 million metric tons. Intense spring heat and moisture stress occurred. There were also reports of fungus disease in wheat, based on the US attache reports. 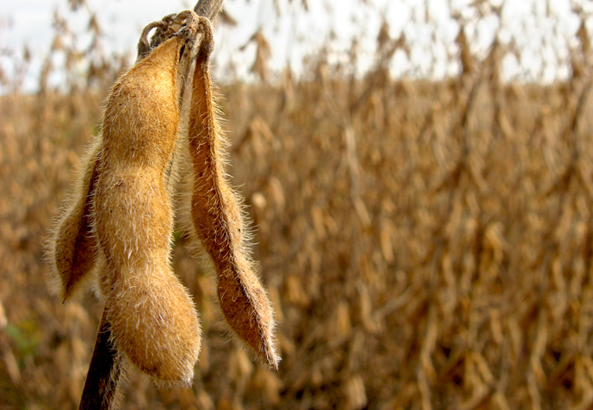 19/11/12 -- Soycomplex: Jan 13 Soybeans closed at USD13.94 3/4, up 11 1/2 cents; Mar 13 Soybeans closed at USD13.82, up 14 cents; Dec 12 Soybean Meal closed at USD424.6, unchanged; Dec 12 Soybean Oil closed at 47.89, up 84 points. Fund buying in beans was estimated at around 3,000 lots on the day. The Chinese government said it was to temporarily suspend bi-weekly soybean auctions and instead begin stockpiling for state reserves. They've been offering around 400 TMT every other week onto the domestic market since the summer in an effort to control rising prices. The USDA announced the sale of 20,000 MT of soyoil to unknown. Safras say that 66% of the Brazilian soybean crop has been planted, up from 54% a week ago. Although that is well below the 78% of a year ago it is now bang in line with the 5-year average. Argentine plantings are said to be 31% complete versus 18% last week and 44% last year. Safras estimate the Brazilian crop at 82.47 MMT, up nearly 22% from 67.76 MMT in 2011/12. The Argentine crop is forecast at 57.42 MMT, up 40% versus 41.0 MMT in 2011/12. Weekly US export inspections of 62 million bushels were very strong once more, even if 2 million below last week they were 21 million up on this week a year ago. Corn: Dec 12 Corn closed at USD7.38 3/4, up 11 3/4 cents; Mar 13 Corn closed at USD7.42 1/2, up 11 1/2 cents. Fund buying was estimated at a net 8,000 contracts on the day. Safras said that 81% of the Brazilian summer corn crop has been planted versus 89% a year ago. Argentine corn plantings are estimated at 55% complete versus 49% last week and 68% this time last year. Safras pegged Brazil’s corn crop at 68.969 MMT versus 72.336 MMT in 2011/12. Weekly export inspections were poor once again at 14.350 million bushels. They need to average 23.6 million to keep pace with the USDA's target of 1,150 million bushels of exports for the 2012/13 marketing year. Congestion and delays at Brazilian ports should help US exports. In Argentina "Widespread heavy rains of up to 2.5 inches are predicted in the grain belt in a wave of strong thunderstorms Wednesday-Thursday. It seems unlikely growers will get all their corn planted," say Martell Crop Projections. The USDA had Argentina down to produce 28 MMT of corn in their November WASDE report, that is starting to look ambitious. Wheat: Dec 12 CBOT Wheat closed at USD8.41 3/4, up 3 3/4 cents; Dec 12 KCBT Wheat closed at USD8.76, unchanged; Dec 12 MGEX Wheat closed at USD9.10 1/4, up 1/2 cent. Funds were estimated to have been modest net buyers of around 1,000 Chicago wheat contracts on the day. Weekly export inspections of 11.102 million bushel just about beat last week's 10.5 million, but were still very poor. The trade is expecting a global switch in demand to US wheat at some point, but there is precious little sign of it yet. After the close the USDA cut US winter wheat crop conditions by 2 points to just 34% good/excellent versus 51% a year ago. Poor/very poor was up 2 points to 24%. An astonishing 60% of South Dakota's crop is now rated poor/very poor, along with 44% of Oklahoma's and 40% of Nebraska's wheat. "Abundant rains will be critical across the Plains next spring, once the crop emerges from dormancy, to prevent significant problems and yield declines then. The poorly established crop will also be more vulnerable to winterkill," say MDA CropCast. 19/11/12 -- EU grains closed firmer, consolidating from recent losses with Nov 12 London wheat up GBP1.75/tonne to GBP216.75/tonne, May 13 up GBP1.00/tonne to GBP221.75/tonne and new crop Nov 13 GBP0.25/tonne steadier at GBP187.75/tonne. Jan 13 Paris milling wheat added EUR1.00/tonne to close at EUR270.25/tonne. The American wheat market snapped a run of six straight declines, adding a bit of support to European wheat. The trade is expecting Egypt to use the recent decline in prices as a buying opportunity and tender for wheat this week, and that US wheat could find itself competitively priced after spending 2012/13 thus far in the Egyptian wilderness. Ukraine slightly confusingly said that it had "no plans to restrict wheat exports" despite Egypt saying last week that it had received official notification that such measures were to be introduced on Dec 1st. This seems to have more to do with appeasing the WTO than anything else. Regardless of what the Ukraine government officially says, it seems pretty clear that there will be no more wheat exports from them after the end of the month, until new crop 2013 becomes available. They will continue to export corn though, the harvest of which is said to be 89% complete, producing 17.97 MMT in bunker weight so far. That suggests a best case clean weight scenario of around 19.5 MMT, according to Agritel (1.5 MMT less than the USDA currently predict). Agritel forecast Ukraine corn exports at 12.0-12.5 MMT this season, versus the USDA's 12.5 MMT and the local Grain Association estimate of 12.5-13.5 MMT. Corn exports in 2011/12 were 15 MMT according to the USDA. Rosstat say that the Russian corn harvest is 70% complete, and that the nation's total grain harvest currently stands at 72.3 MMT in bunker weight, down 23.5 MMT on this time a year ago. 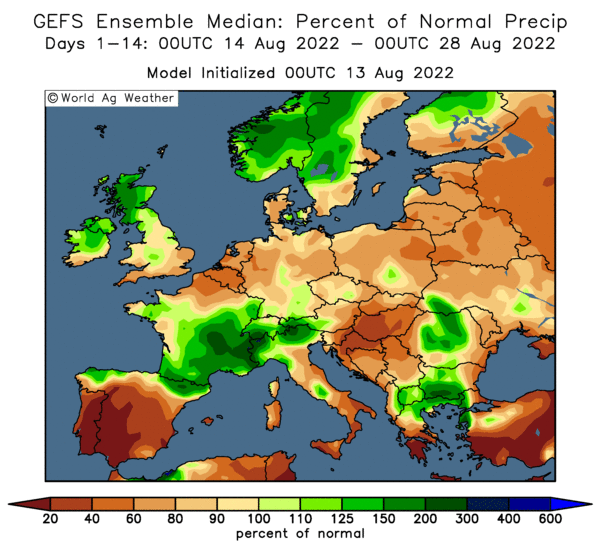 A let up in the rains has seen the French corn harvest advance to 92% complete, according to FranceAgriMer, who also now estimate winter wheat plantings at 88% complete and those of winter barley at 97% done. The Australian Oilseeds Federation forecast rapeseed production there this year at only 2.697 MMT versus output of 2.82 MMT last year (according to ABARES and the USDA) despite a 23% hike in planted area due to drought. Fund money continues to exit commodities in general as we nervously approach year end against a backdrop of concerns over the US "fiscal cliff" and escalating tensions in the Middle East. The net long position held by the Managed Money in the 5 major Ag markets has dropped 285,000 contracts (over 43%) to 364,000 since Sep 18th, says Tregg Cronin of CHS Hedging, Inc.